Do To Learn - Picture Cards - picture cards to help make schedules, story strips and talking back cards. Do To Learn - Reminder Strips - help to remind someone how to perform a particular sequence. Life Skills instruction - The following Lesson Plan Starters are based on high or acceptable quality intervention studies, in which secondary students were taught a new skill. 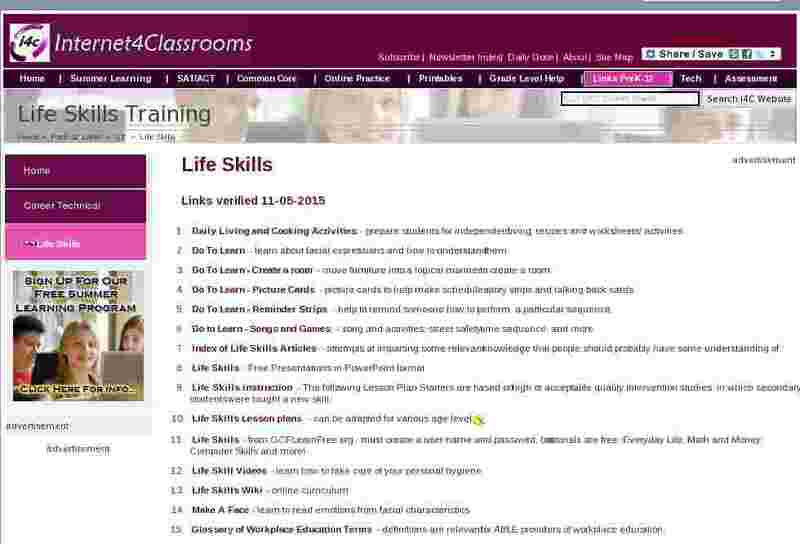 Life Skills - from GCFLearnFree.org ; must create a user name and password, but tutorials are free. Everyday Life, Math and Money, Computer Skills and more! Self Esteem - Lesson plan - Notice! Link to self esteem web site does not work!